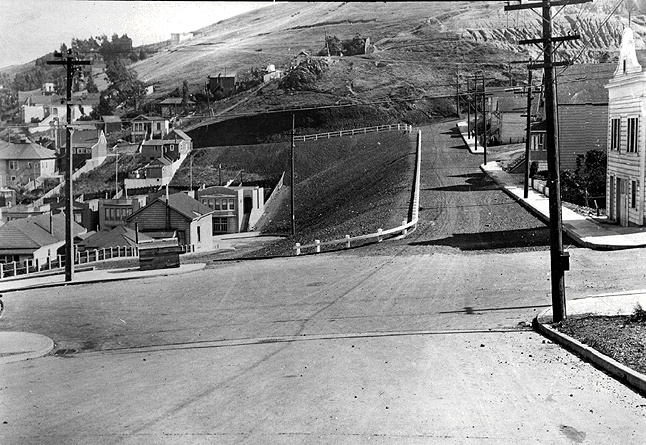 Looking south along Castro, c. 1926. 29th St. crosses in foreground. Gray Brothers quarry visible at upper right. 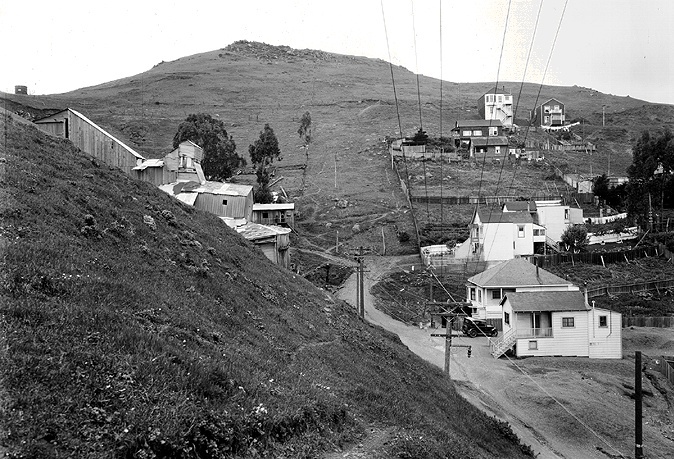 The Gray Brothers quarried the hill at upper right and left this marred hillside in their wake.